Die Doktorandinnen und Doktoranden des von der DFG geförderten Graduiertenkollegs GRK1664 und einige Lehrende waren vom 21.-24.März zur viertägigen "Spring School 2017" in Sitges bei Barcelona (Spanien) eingeladen. Die Doktoranden des von der DFG geförderten Graduiertenkollegs GRK1664 und einige Lehrende waren Ende März zur viertägigen Europhotonics Spring School 2016 auf der französischen Mittelmeerinsel Ile de Porquerolles eingeladen. 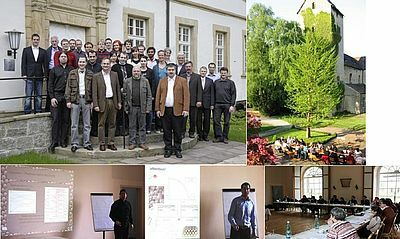 Das Tagungsprogramm umfasste verschiedenste Aspekte der Licht-Materie-Wechselwirkung, von Verhalten kalter Atome in photonischen Strukturen über das Lichtmanagement in Solarzellen und Flüssigkristallen bis zu biomimetischen photonischen Strukturen. 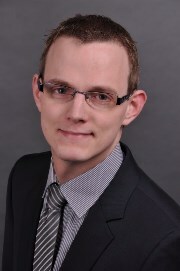 Die etwa einhundert Teilnehmer kamen überwiegend aus Frankreich, Spanien und Deutschland. 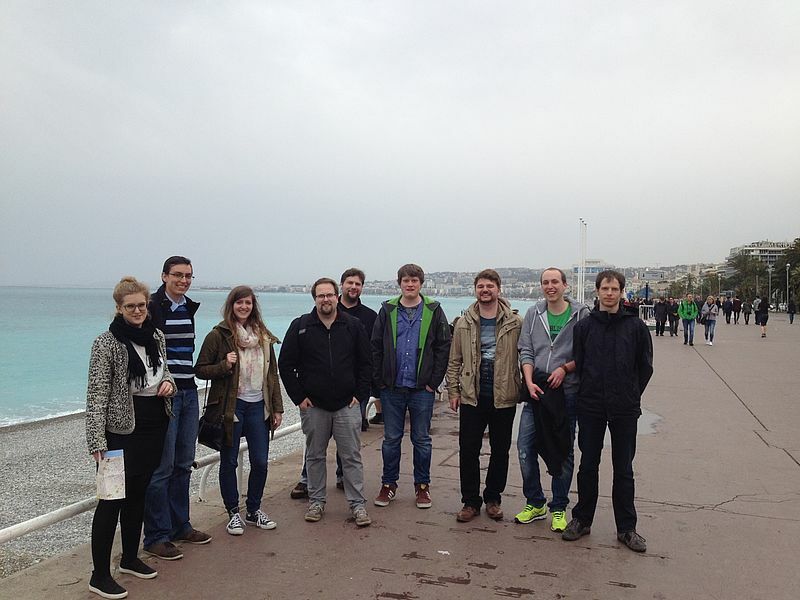 Das Foto zeigt einige Doktoranden auf der Rückreise beim Zwischenstopp an der Strandpromenade von Nizza. 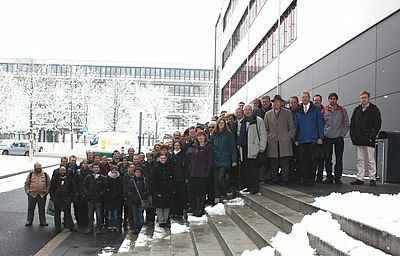 The 13th Convention of GRK 1464 was held in Paderborn, organized by Katharina Brassat and Thorsten Meyers. 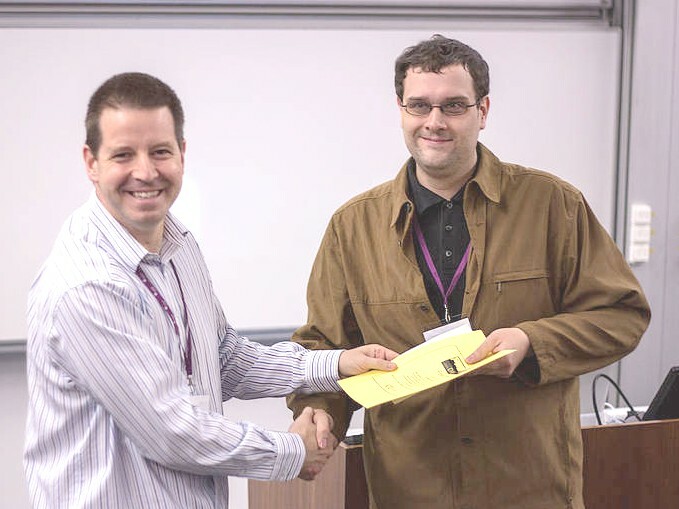 Markus Wahle (Department of Chemistry, Paderborn) received a best presentation award at the Optics of Liquid Crystals Conference (OLC '15) for his talk entitled "Electrically tuneable waveguide properties in hybrid guiding liquid crystal photonic crystal fibers". 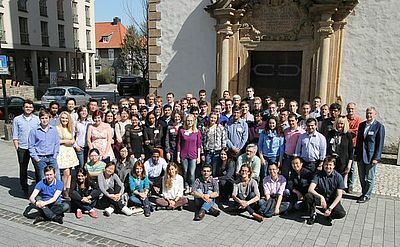 "Optical frequency tuning of quantum-dot single-photon emission from a partly stimulated two-photon transition"
The 4th Europhotonics Spring School 2015 will be held in the modern Hotel Aspethera in Paderborn. 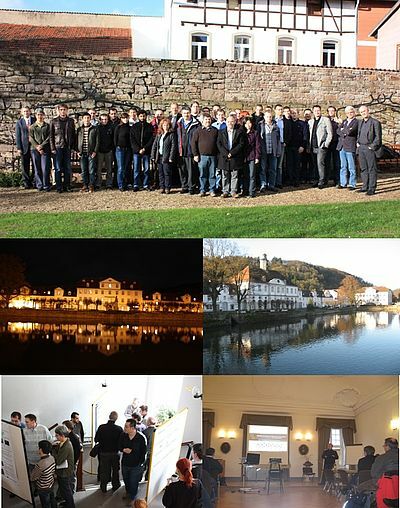 Accommodations for the visiting participants will be available in the same hotel. The Ph. 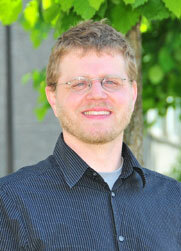 D. students participating in the school are expected to share a double room. 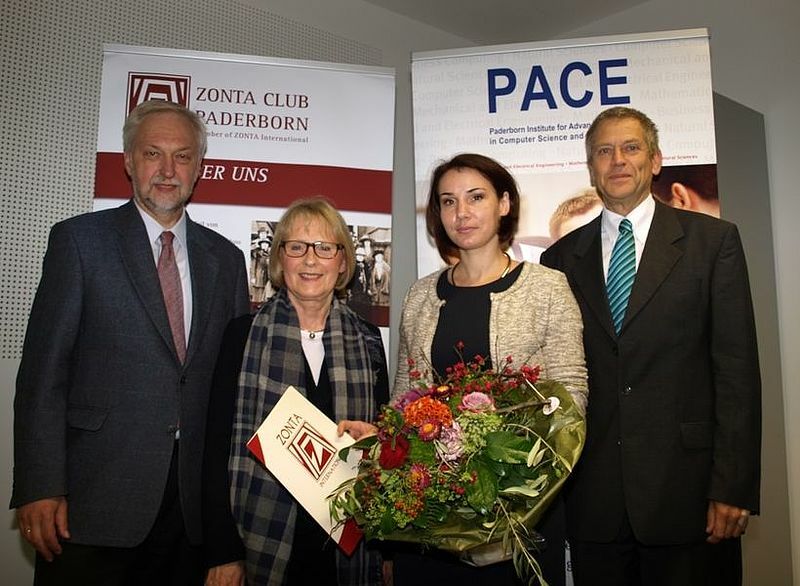 Dr. Olga Kasdorf is awarded the Zonta Club Paderborn Award 2014 as a highlight of the annual PACE Ceremony. 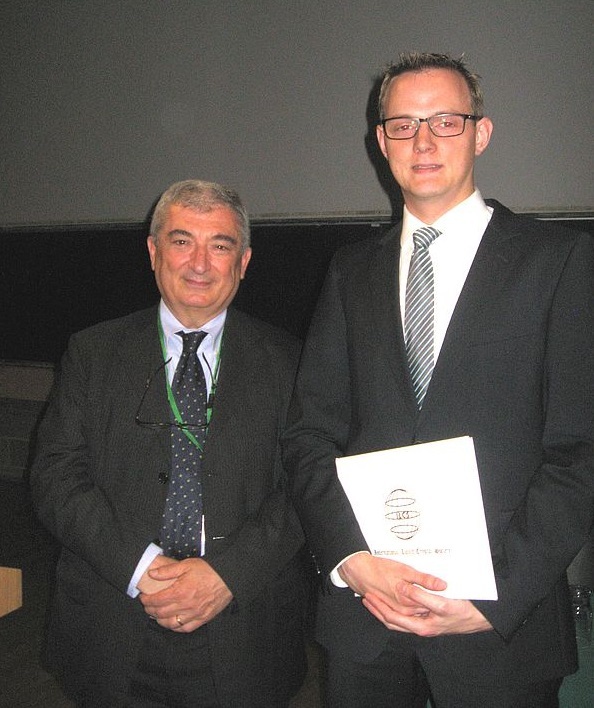 At the 25th International Liquid Crystal Conference 2014, Dublin, Ireland, Dr. Martin Urbanski receives the Glenn Brown Prize 2014 awarded by the International Liquid Crystal Society. 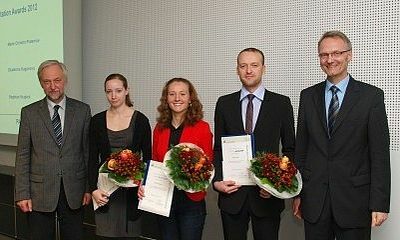 At the New Year Reception 2014 Dr. Martin Urbanski received one of four prizes of the presidium of the University of Paderborn for an outstanding PhD-thesis submitted in 2013. 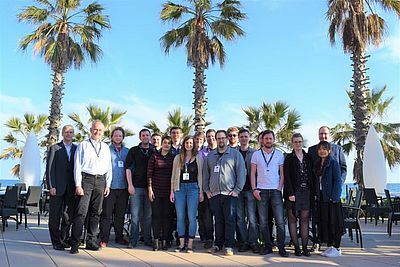 L. Huang, X. Chen, H. Mühlenbernd, H. Zhang, S. Chen, B. Bai, Q. Tan, G. Jin, K.-W. Cheah, C.-W. Qiu, J. Li, T. Zentgraf and S. Zhang "Three-dimensional optical holography using a plasmonic metasurface" Nature Communications 4, 2808 (2013). 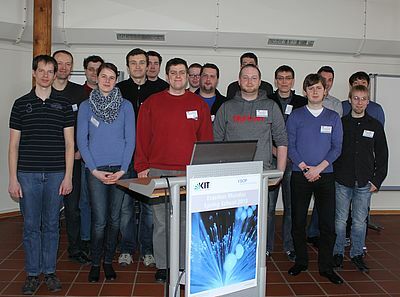 March 2013: „Young Scientist Award 2013"
The 40th Topical Meeting on Liquid Crystals of the research training group took place in Paderborn from March 20th - 22nd, 2013. 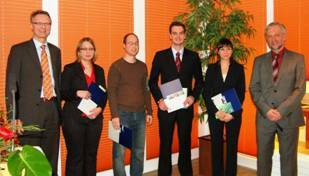 December 2012: PACE-prize "Best Presentation Award"
On December 7th, 2012 Stephan Krapick receives the “Best presentation award” of the year 2012 awarded by the PACE-Paderborn Institute of Advanced Studies in Computer Science and Engineering. On March 9th, the on-site review of the graduate programm was held in Paderborn. 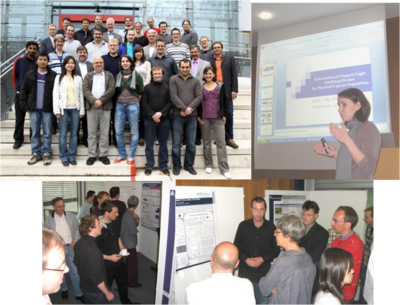 In May 2012, DFG has decided that financial funding of the doctoral research training group GRK1464 "Micro-and Nanostructures in Optoelectronics and Photonics" will be continued until spring 2017. 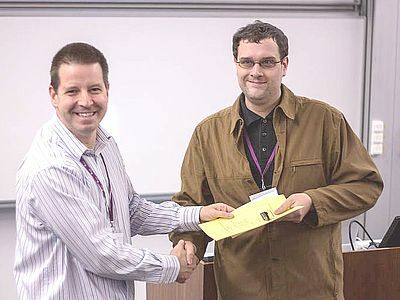 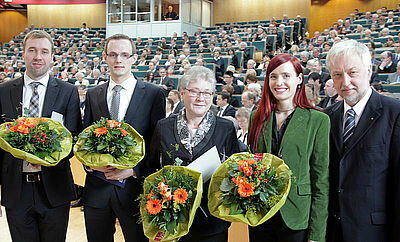 The winner of the PACE-prize “Best presentation award” of the year 2011 is Dr. Stefan Declair. The laudation takes place at the “Fakultätsfeier der Fakultät für Naturwissenschaften“ (26.11.2011). The 4th external meeting of the GRK was combined with a visit at the chemical company Merck, Damstadt (18.-19.11.2011). 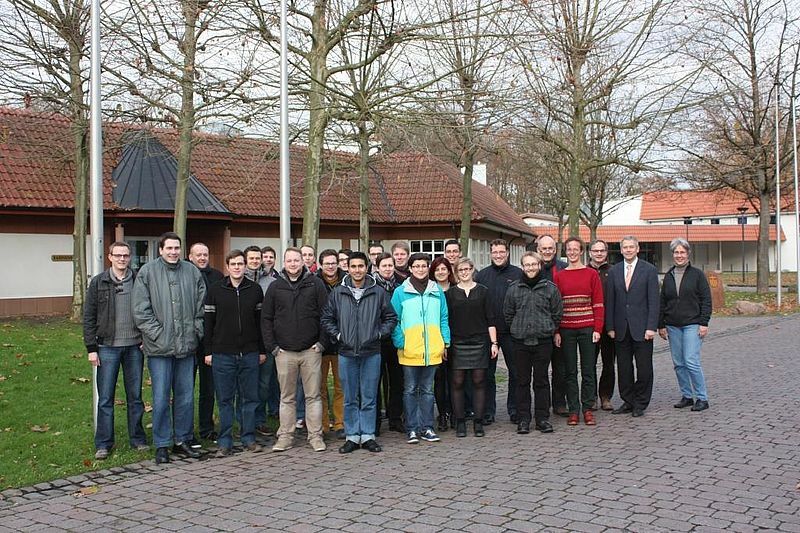 It was planned by Martin Kim and Martin Urbanski. 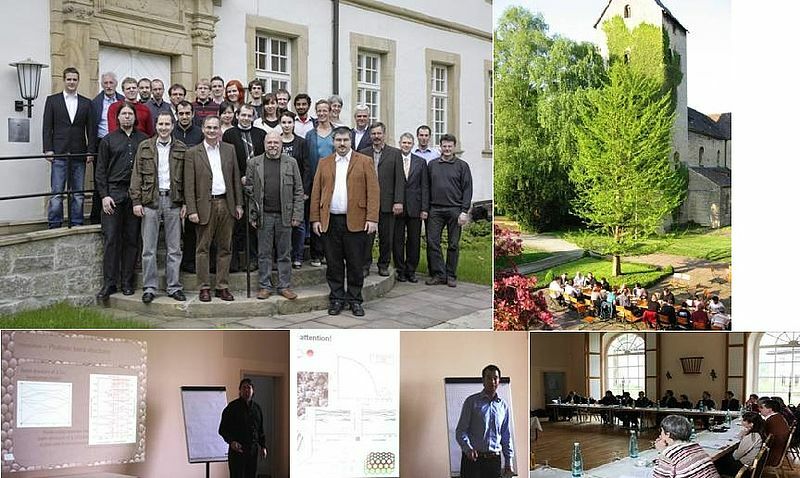 2nd GRK Convention (Bad Karlshafen), organized by Olga Kasdorf and Marc Zöller: The forthcoming convention will be held on 26th and 27th November 2009 in Hotel Zum Schwan, Bad Karlshafen at the Weser river. 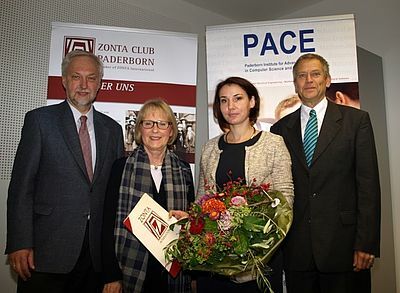 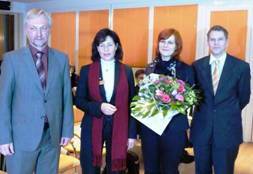 Mrs. Marina Panfilova receives the PACE "Best Presentation Award"
First meeting of Ph. D. students of the Graduate Program. 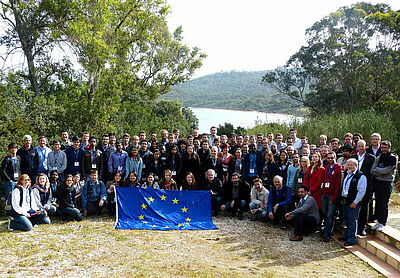 Start of the Graduate Program.